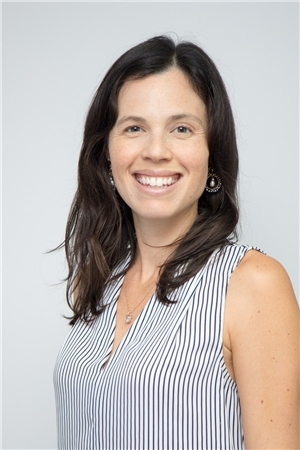 Claire Shorenstein is a Registered Dietitian Nutritionist and New York State Certified Dietitian-Nutritionist who holds a Master’s degree in Clinical Nutrition from New York University. Claire collaborates with her clients to create individualized, realistic, and sustainable nutrition plans that allow them to achieve their goals without sacrificing all the joy in their lives. Her specialties include sports nutrition, weight loss, chronic disease prevention and management, pre/post natal, and general healthy eating. As a new mom herself, Claire understands the needs of pregnant and nursing moms as well as the scheduling challenges of being a working parent, trying to fit in work, plus time for grocery shopping and cooking, exercise, and time with family. It is a constant and ever-changing balancing act for each of us, and Claire will help you find your balance. If you have tried "diets" in the past that have not "worked" long term, it is not your fault, and is likely because diets do not work. Your meal plan and strategies need to be tailored to your needs at the present time, and Claire will help you do just that. As an avid endurance athlete and Dietitian, Claire has contributed both nutrition and run coaching advice to a variety of media outlets and publications, including Thrillist.com, ClassPass.com, UnderArmour.com, Livestrong.com, Competitor.com, Salon.com, Runner’s World Magazine, RunnersWorld.com, DIYActive.com, NY1 News, and Real Women Run. Claire received her clinical training at Montefiore Medical Center, where she continues to work as an inpatient clinical dietitian. She gained additional clinical and nutrition education experience as a volunteer at Memorial Sloan Kettering Cancer Center, New York-Presbyterian Hospital, and City Harvest while completing her graduate studies. Claire first fell in love with running as a member of her high school’s cross-country running team. Many years later, she rediscovered her love of the sport when she realized that her greatest strength – and passion – was in distance running. She particularly enjoys trail running and thus far has completed three trail ultra marathons (The North Face DC 50k, UTHC 65k, and JFK 50 mile races). Claire also has competed in eight road marathons, including two Boston-Qualifying times. Other running accomplishments include winning 1st place women’s relay division at the 2013 NYC Triathlon (2nd place in 2014 and 2015) and running the Boston Marathon in 2013 and 2014. Originally from Santa Cruz, California, Claire loves to travel and has an eclectic background. She attended Yale University, receiving a B.A. in Humanities and a M.M. in Oboe Performance. After more than seven years in the corporate world and a year-long solo trip throughout South America, she switched career paths to pursue her longstanding interests in nutrition, running, and helping others to optimize their health. In her spare time, Claire can often be found running in NYC or on local trails with her husband, experimenting in the kitchen, exploring new restaurants, and writing about her experiences in her personal blog, The Fight and Flight Response. Claire embraces healthy living through a mostly plant-based diet and regular physical activity, but equally appreciates the need to enjoy a treat and relax. As a runner and coach, she understands the athlete mentality, the crucial role that nutrition plays in preventing and recovering from injury, and how to help individuals safely attain their health and fitness objectives. Her corporate background also allows her to understand the challenges that many of her clients face in maintaining a healthy lifestyle. As a result, Claire seeks to collaborate with her clients to create individualized, realistic, and sustainable plans that allow them to achieve their goals without sacrificing all the joy in their lives! Finding the right balance requires dedication and patience, but should not come at the cost of enjoying delicious food. "I wanted to thank you for your guidance and expertise concerning my diet and training. I am in the best shape of my life right now...largely thanks to your dieting suggestions and running advice. I have lost 4% body fat and am very lean. Your advice to improve my running has been especially valuable and I am a more efficient runner. Acknowledging that I already had a good diet and was in good shape, i now know there is always room for improvement. You Rock!" "Much of my sub-3 hour marathon success in the 2016 TCS NYC Marathon I owe to Claire and her nutrition guidance. Claire showed me how it was possible to achieve my goal not only through proper, smart training and execution, but also through preparing my body with proper fuel and nutrition. At first, we looked at what I do on the typical, average day to get a basis for what kind of nutrition I actually need. I had never really understood what, how much, and at what times I should be consuming certain nutrition. Before, I underestimated the importance of consuming protein (from real food sources) following a hard workout. After doing many different types of test, some medical (RMR), some physical (practicing with different gels), and some experiential (keeping a food log), I came to understand what works the best for my body and my specific dietary needs. One of my biggest takeaways from working with Claire was the importance of testing out your nutrition and fuel plan for race-day well ahead of time. With a detailed plan in hand and a deeper understanding of the factors that could potentially derail this plan, I felt better prepared than I would have otherwise because I had already tried it out at least once. So even when marathon day turned out to be warmer than expected and I felt like I was loosing more water and salt through sweat than expected, taking the extra salt pill that I had reserved made a significant difference. Today, I feel much better about being able to support my training needs and adapting my nutrition needs for any circumstance." "I had the pleasure of working with Claire to prepare for my first Ironman this past summer. Claire really helped me focus on my daily meal plan during the months of training leading up to the race and then to dial-into my nutrition plan for race day. We experimented with different options during my long training days until we came up with a plan that we thought would work best for me. I kept to the plan on race day and was able to maintain the necessary energy throughout. Thanks to Claire I had a great race and exceeded my expectations." "I started working with Claire in May 2016. She was my 3rd Running coach and my 4th Nutritionist. After a health scare in December of 2013, I took up running and a healthy lifestyle. Besides the countless articles and videos on healthy eating and exercise, I met with 3 nutritionists to help me down the right path. Some played a positive role in helping me adjust to a balanced diet and some just offered pills and weird eating habits. By 2015, I was set in my ways, down 50lbs, keeping it off and seeing remarkable results with my blood work. BUT I realized that even with VERY healthy habits, I needed to course correct again and wanted to do so in conjunction with training for my second marathon. As a Registered Dietitian and Certified Running Coach, Claire seemed like the perfect fit. So here is how it worked - after our initial nutrition consultation at Nutrition Energy, I scheduled regular sessions with her to review my overall diet and how to fuel my long training runs. Separately, Claire created a training program for me with daily descriptions of where, how long and what type of workout I should do. We scheduled parallel tracks to help with running and nutrition, and running nutrition (there’s a difference). It was important that we first spend time on my overall nutrition, and Claire was able to make several minor changes to my already healthy eating habits by creating balance with every bite. Instead of just an apple, for example, add nut butter. Instead of just raw veggies, add hummus. It kept me satisfied for longer and allowed me to wean myself off of more processed foods. Three months later, I completed my 2nd Marathon and shaved 13 minutes off of last year’s time. More importantly, I had a good race. Besides the inevitable challenges a marathon can bring, I felt strong throughout the 4:13:55. I want to thank Claire and Nutrition Energy for their help, guidance and commitment to a healthy lifestyle. I look forward to our continued relationship as I set my 2017 goals!" 2 Time NYC Marathon Finisher!!! I wanted to reach out because today was the first time I got on the scale since I came home from my trip to the Bahamas (Feb. 13th). At that time I weighed 218 lbs. By the time I met with you I weighed about 215. Today, I weighed in at 202!!! I feel great and can't believe how much weight I've lost in about 6 weeks. I'm hoping to lose another 5-10 before I go to Europe in less than a month. Thanks again for your help!!" "I am very impressed with my visit. Claire not only answered my questions but explained the reasons why certain actions were positive or negative. She also took the time to review my current medical history as it relates to my nutrition and offered comments, which is very encouraging. Although I have to with great effort make these visits due to my current physical condition and a later commute back to PA, I am encouraged by what I get out of the sessions that it makes it worth my time."